We Help Students Find Their Voice. Our students, whether in the classrooms or in the hallways, in school or representing Harvey in the community beyond our campus, leave their imprint on the world and on the future. Every day I am reminded of what an exceptional place The Harvey School is. Our students are active, engaged creators of their own educational experience, demonstrating how thoughtful, caring, confident, creative, and courageous they can be on a daily basis. They use their voices to share their knowledge and tackle big questions, both inside and outside the classroom. Each student’s story and learning experience is unique and encouraged at Harvey, nurtured by a highly committed and dedicated faculty and staff. 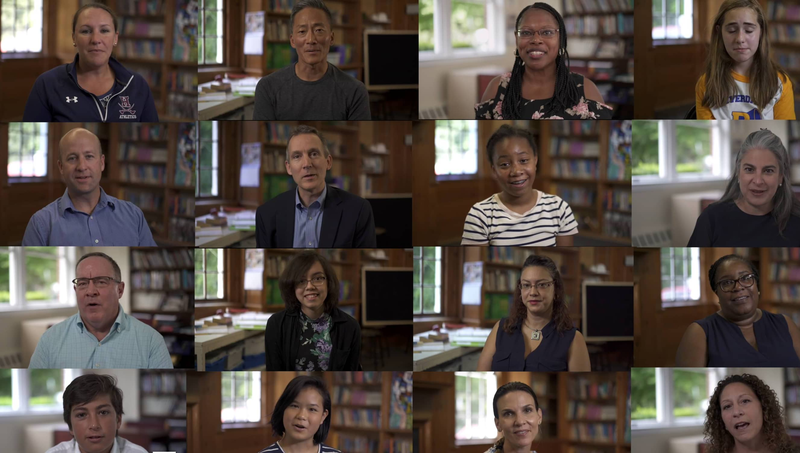 I hope you enjoy hearing and seeing the stories of many of our students firsthand on the pages of our website. I also invite you to come visit us in Katonah and see our students and faculty in action. We are ready to help you find your voice. Our college-preparatory program fosters lifelong learning and inspires students to develop the confidence and leadership qualities necessary to succeed in a diverse, competitive, and changing world. We value each student's individuality and strive to enhance each student's sense of self and purpose, infusing joy into learning and life. With our commitment to small class size, our community cultivates the strengths of each student through academic excellence, artistic exploration, athletic achievement, community service, and global understanding. The best way to get to know our school and what we have to offer is to visit our campus. We look forward to meeting you and your student!